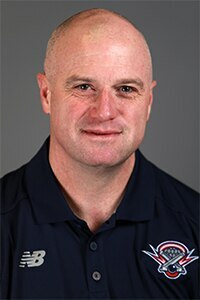 Sean Quirk is the Head Coach and Director of Player Personnel of the Boston Cannons and has been instrumental in the development of the Boston Cannons team. Quirk’s approach to building a Championship Caliber Culture within the team and organization is critical to long-term success on and off the field. Quirk brings to the Cannons a strong commitment to youth, high school and college players, the fan base and an appreciation of the importance of giving back to area hospitals and nonprofits like Team Impact and PCA. A very successful Head Coach of the Endicott men’s lacrosse team from 1998 to 2015, Quirk now serves as Endicott College’s Associate Athletic Director overseeing all of the men’s teams and coaches. He works with Endicott’s leadership program for team captains and emerging leaders and oversees the Endicott’s athletic department day-to-day operations. Quirk also works closely with the admissions office and head coaches throughout the entire recruiting process as Endicott’s Admissions Liaison. Before Endicott, Quirk played and coached at Springfield College where he was a two-time All-American, and played on two National Division II NCAA Championship teams. Quirk has won numerous championships and earned multiple coaching awards by bringing the best out of his players, yielding 21 All-American, 57 All-Region, and 143 All-Conference players. 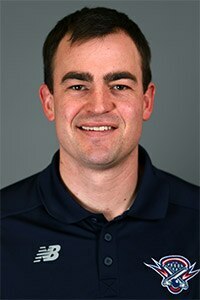 Ben Rubeor enters his second season as the Offensive Coordinator for the Boston Cannons. 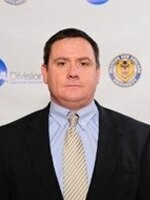 In addition, he has taken over as the Head Coach at Thayer Academy in Braintree, MA this spring. 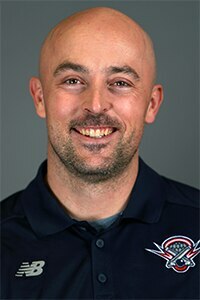 In his first season with the Cannons, Ben oversaw the addition of a number of new offensive players, including the top 3 scorers on the team and six of the top 10. He will enter next season with a young, talented offense. In the summer of 2018, Ben moved to Massachusetts from Maryland, where he spent the last six seasons at Loyola Blakefield and St. Mary's High School. He led his teams to 4 straight MIAA Final Fours, including an MIAA A Conference Championship in 2015, which earned him the USA Today National Coach of the Year. Ben graduated from Loyola Blakefield in 2004 and won the C. Markland Kelly Award as the best player in Maryland that year. He then went on to the University of Virginia, where he was a 3x All-American, 2x Tewaarton Finalist, 2x Academic All-American, 2x Captain, and the ACC Scholar Athlete of the Year in 2008. In 2006, he helped lead his team to an undefeated season and won the 2006 NCAA National Championship. After UVA, Ben played for 8 seasons in Major League Lacrosse. He was drafted by the Long Island Lizards (now New York Lizards) 14th overall in 2008 and spent one season with them before joining the Chesapeake Bayhawks organization in 2009. He played for the Chesapeake Bayhawks for 7 seasons, captained the team, won 3 MLL Championships, and finished as the Bayhawks all-time leading scorer. In 94 career games, Rubeor scored 138 goals, one two-point goal, and 53 assists. He won three Steinfeld Trophies with Chesapeake in 2010, 2012, and 2013, and was named the MVP of the 2012 Championship Game. Rubeor posted ten goals and eight assists in seven career playoff games. Ben lives with his wife, Binny, and his daughter, Madeleine, in Bolton, MA. John Klepacki joined the Cannons for his first season as assistant coach in 2016. Klepacki wrapped up his 14th season as the Western New England University men's lacrosse coach in 2015 and continues to establish himself among the top coaches in the nation today. Klepacki has posted an impressive 189-76 career and school mark for a .713 winning percentage, which ranks fifth among active NCAA Division III coaches. Klepacki and the top-seeded Golden Bears captured the 2015 Eastern College Athletic Conference (ECAC) Division III championship at Alfred University, defeating the host Saxons in the title game, 14-13. Western New England is undefeated in four ECAC tournament appearances in 2004, 2005, 2011 and this spring. In 2014, Western New England (10-8 overall) saw its five-year streak of at least sharing the CCC regular-season title come to an end, but upset nationally No. 11 ranked and top-seeded Endicott in the conference championship game--a convincing 13-8 win on the road--to earn an automatic berth to the NCAA Tournament. Klepacki coached a CCC-leading nine academic all-conference honorees, two scholar all-Americans, two-time All-American Adam Knapton, six selections from two all-region squads and 10 All-CCC picks including Senior Scholar-Athlete of the Year Jesse DeLucca; WNE earned the CCC Team Sportsmanship Award for the third straight year. In 2012, Klepacki led WNE to a 13-5 campaign, a No. 15 national ranking in the final United States Intercollegiate Lacrosse Association (USILA) Division III poll, sweeps of the CCC regular-season and tournament crowns, and an NCAA tournament second-round appearance. Klepacki was named the 2011 CCC Coach-of-the-Year after leading his team to its eighth consecutive winning campaign. The 2009 season was a memorable one as Western New England tied the team record for wins, ending with a 17-3 record and a perfect 9-0 mark for first place in the conference. Klepacki earned his 100th career victory with a 13-4 win over conference rival Endicott. The Golden Bears later defeated the Gulls again to clinch back-to-back CCC championships. The Golden Bears advanced to the quarterfinals of the NCAA Tournament for the third straight year, but lost at eventual national champion SUNY Cortland, 6-5. Klepacki's team finished ninth nationally in the final USILA Division III rankings. Klepacki guided the Golden Bears to a 17-1 record (which was a school record for wins) in 2007 and a perfect 8-0 mark for first place in the Pilgrim League. Klepacki was voted the USILA Division III Coach-of-the-Year, becoming the first coach in Western New England College history to receive a National Coach-of-the-Year award. He also received similar awards from both the New England Intercollegiate Lacrosse Association (NEILA) and Pilgrim League. Klepacki enjoyed a spectacular rookie season in 2002 directing his team to a 12-5 record, which at the time was the second-highest win total in school history. The Golden Bears also posted a 6-0 mark for first place in the Pilgrim League West Division. WNE went on to capture the Pilgrim League Tournament with a thrilling 17-16 victory over his alma mater, Springfield College, which earned the Blue and Gold a trip to its first NCAA Division III Championship. Before joining the Western New England staff, Klepacki served as a men's assistant lacrosse coach at Springfield College in 2000 and 2001. Klepacki earned a Bachelor of Science in Movement of Sports Studies at Springfield College in 1996 and a Master of Education from Springfield in 2002. He was a four-year starter at defense for the Pride and team captain his senior year. Klepacki was a member of the SC team that won the NCAA Division II Championship title in 1994 while finishing second in 1995. Klepacki was a men's assistant lacrosse coach at the SUNY Oneonta from 1997-99. Klepacki is a 1991 graduate of Southington High School where he was captain of the boys' lacrosse team, team MVP, and an all-state selection. He also was an all-conference football performer. Klepacki's wife Aimee Klepacki is the highly-successful women's lacrosse coach at Western New England. Loryn is the Wellness Coach for the Boston Cannons. Loryn works directly with the coaching staff, team and with each player individually on being their best, most competitive version of their LivingProof. In a three-month preseason training program and ongoing throughout the season, Loryn’s work includes nutrition, strength and conditioning, wellness, mindfulness and balanced living. Loryn’s passion is to help clients build their mind-body connection and motivate them to draw from their inner strength. She believes in educating her clients so they become capable of achieving their highest standards. 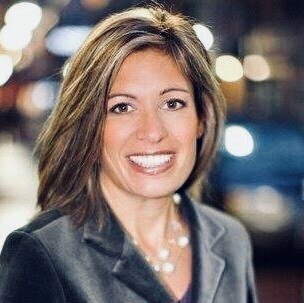 Loryn coaches a variety of clients and athletes privately, instructs classes for ESPN and conducts motivational speaking engagements for athletes, corporate settings and at wellness events. She hosts many online goal-oriented challenge groups with 100% success rate. Loryn is also a mom of 3 busy teenagers, a former school teacher and a non-profit event planner. She loves to run, go to the gym to lift weights and participates in many outdoor activities with her family and friends. “The words I live by daily- hold yourself responsible to a higher standard than anyone else expects from you and never make excuses."